Together with its partner Vestas, LTWP’s Winds of Change Foundation (WoC) constructed a 14km water pipeline and three distribution points in Arge. 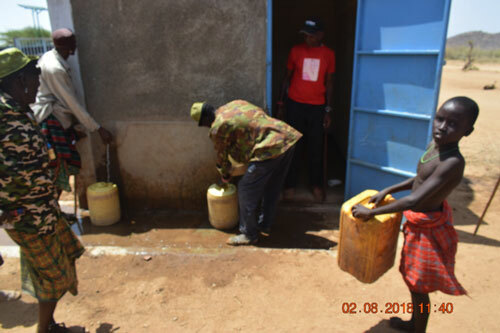 The water, which is sourced from an existing borehole, is piped from the borehole to three separate access points located in the Arge area, as well as to the community dispensary and Arge Primary School. 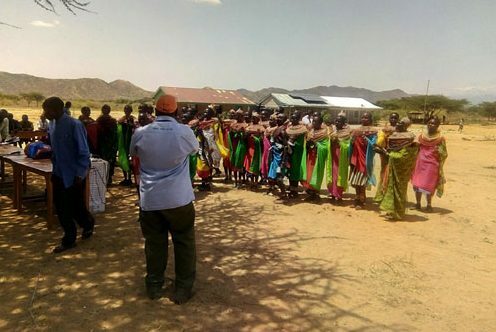 The project was officially handed over to the community on 2 August 2018, during a colorful ceremony, marked with song and dance by different community members. 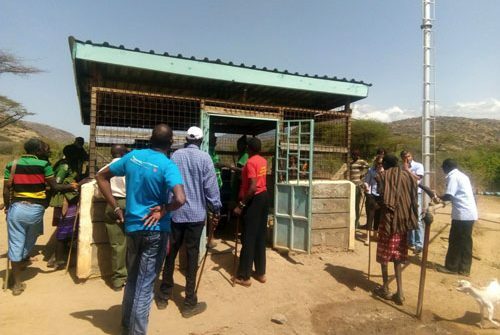 This was preceded by a procession whereby community elders blessed the water source as well as two of the water access points, by singing prayers and pouring fresh goat milk on the facilities. Mr. Charles Lekaldero (Area Chief of Arge) stated during the handover ceremony that a total of 418 households live in Arge, who combined make up a population of close to 3,000 people. 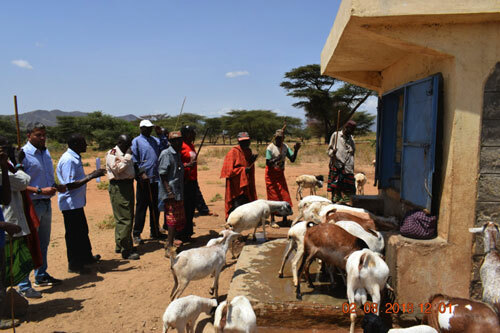 He expressed his joy at the fact that Arge community members and their livestock are now able to access water within the village, thus do not have to undertake a daily roundtrip of about 28km to access water. Meanwhile, Felix Rottmann (Director of WoC), highlighted the importance of also connecting the water pipeline to the primary school and dispensary, meaning that both facilities now have direct access to clean water. Consequently, (i) classes are less disrupted because students do not have to leave to fetch water for drinking or cleaning purposes, while (ii) water can be used at the dispensary to maintain a higher standard of sanitation, thereby help to reduce the risks posed by bad hygiene. For example, by having direct access to water, nurses and patients at the dispensary can wash their hands, thus reduce the risk of germs being spread. Copyright © Lake Turkana Wind Power 2017. All Rights Reserved.